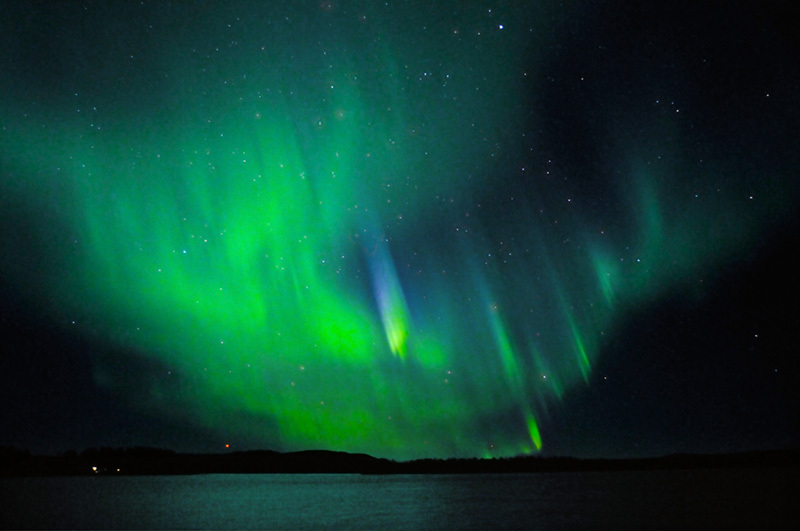 Viewing the Northern Lights is an Awe-Inspiring Experience. See “Travel Aspirations” at the bottom of this post. I used to teach university marketing communications classes. In one of the early lectures we would discuss a human communications model. The model includes perceptual filters that we humans use to tune out most of the routine data coming in through our sense organs. These filters are necessary for us function normally, without sensory overload, in our typical environments. The creative agencies that produce advertising know that they must break through those filters to get their message across. They use tools like novelty and humor to get and hold our attention. Look around during airline safety briefings and you will see that large numbers of your fellow passengers are ignoring the presentation. It is in the airlines’ best interest to get passengers to pay attention to and remember safety information. To break through frequent flyers’ filters, airlines are turning to creative production companies. Delta commissioned ad agency Wieden+Kennedy to produce a rotating series of new safety videos that use humor and novelty. I viewed the first two of these videos on a round-trip flight last weekend. They’re pretty effective. I paid attention to both videos from beginning to end and so did most of my fellow passengers. Some of my favorite bits to watch for: strange carry-on items, “no cartwheels” and “no chainsaw juggling” placards, a man with two left feet, and a cameo by Abraham Lincoln in video 1. Amazing 16 Gigapixel View of Machu Picchu. Be sure to zoom and pan. See the Northern Lights in Alaska. From personal experience, I can say that viewing an evolving aurora borealis is an awe-inspiring experience. A big shout out to new TCTReview collaborator Denise Jones, who helped curate the links for this post.